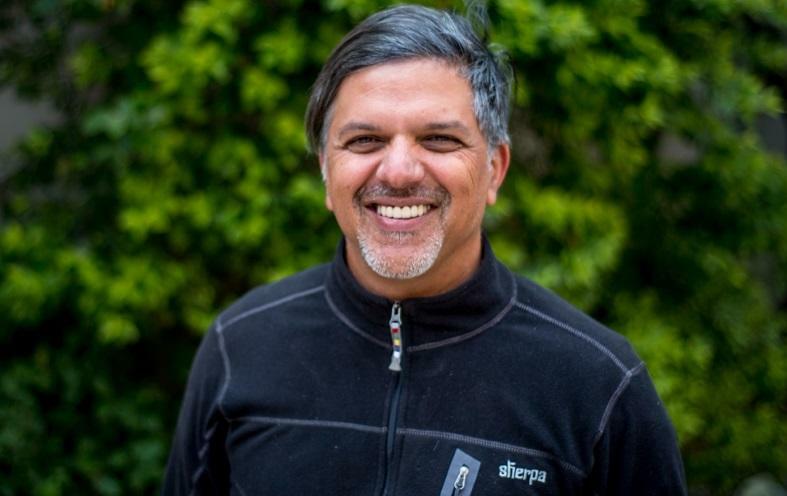 Raj Gyawali in this interview tells us how his responsible tour business, socialtours, approaches sustainability, the challenges and opportunities of tourism development in Nepal, and how the NepalNOW initiative helped the mountain destination to recover after the 2015 earthquake. How to get started with sustainability, as a tour operator. Raj, as a passionate adventure traveller, do you remember the first time you heard about sustainable tourism? When did you decide to engage professionally in tourism and use it as a tool to support the sustainable development of your home country, Nepal? I had not heard about sustainable tourism until after I started my company, socialtours, back in 2002. My vision was to see and support tourism development in different ways, and to do this by following the principle of linked prosperity. In practice, I focused on environmental sensitiveness, cultural sensitiveness and contribution to the local economy. I now know that those are also the main principles of Responsible Tourism. 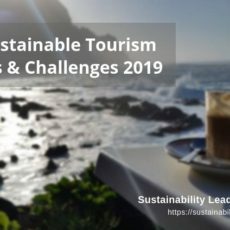 I believe the first time I came into contact with sustainable tourism would have been one year later, when I got engaged with development agencies, which were using the term quite a lot. Has your view on tourism and sustainability changed since the establishment of your company socialtours? Nothing much has changed in my views and opinions. If anything, I am going deeper and deeper into the concept of business responsibility, and sustainable practices are part of that. I was, and always will be, a practitioner, so will find ways to learn more about sustainability by running the company, or through my consultancy work. Which have been the main entrepreneurial or business challenges that socialtours has had to overcome? Visibility is probably the biggest challenge. The tourism marketplace is extremely busy. Getting visibility is difficult. We have overcome this challenge to a large extent by creating a very strong brand and image for the company, which reflects what we do, but it is a continual challenge. As a tour operator, are there any barriers that you think prevent local communities in Nepal to participate more significantly in the travel industry? There are actually no real barriers for Nepalese local communities to participate in the travel industry. The only possible barrier is lack of accurate information to help communities realise where the demand is, and to match demand with strong products developed using an informed mechanism. Communities tend to experiment. Some of those experiments fail and others succeed. With more accurate information, more communities would succeed. How do you measure your success in terms of sustainability performance? We do so much work in sustainability that measuring it all has become a chore. So, we decided to just build some stories around what we do, and to continue doing what we are doing. Getting lengthy reports done does not seem to justify the time and money it takes to maintain those. In many ways, we think that we have gone beyond that. Which sustainability challenges do you think will be the most crucial for socialtours and Destination Nepal to address in 2018? While new tourism products develop in Nepal all the time, making sure that those follow the principles of sustainability by minimising negative impacts is probably the biggest challenge in Nepal. As Nepal moves ahead, there will be more and more travellers coming in. Delivering sustainable products to those without degrading the natural environment or the local cultures is going to be an ongoing challenge, especially ensuring that there is adequate compensation for the local economy. At socialtours, the challenge is to keep the process dynamic and to continue our work towards being as sustainable as tour operator as we can. Committing the necessary effort and focus is a constant challenge. Sustainability also needs to be fun and connected to the ethos of the company – another challenge. A key part of your Responsible Tourism Policy at socialtours is “educating the traveller” and “spreading the word”. How do you communicate sustainability internally (b2b, e.g. suppliers), and externally (b2c, potential clients/travellers)? We have built quite a reputation for the sustainable practices that we do in the company. We invite suppliers to come and learn from us, and most of them enjoy these experiences. This helps in spreading the word among suppliers. Externally, with clients, we raise awareness via trip briefings in our office, email communications and feedback mechanisms that are entrenched in how we work. As co-founder of the community initiative NepalNOW, can you tell us about the campaign’s achievements so far, in terms of using tourism as a tool for crisis recovery and alleviation, following the 2015 earthquake? NepalNOW was a major step in the right direction for Nepal after the Earthquake. When images of destruction and stories of damage covered the internet, the NepalNOW campaign aimed to offer a different narrative through positive stories and images. The initiative brought all the players together – having one website and campaign helped to do that. NepalNOW started as a travel community initiative and was eventually taken up by the government. This was another big success because it then had adequate and continued funding to make it work. I am in Nepal NOW campaign impressions. Reflecting on your experience with NepalNOW, which lessons or advice could you share with destinations around the world facing the consequences of natural disasters? As soon as disaster hits, a one stop information source that provides accurate information and starts positive campaigns is a must. The I AM IN NEPAL NOW campaign with travellers that we started in Nepal has since been replicated in Ecuador and currently in Bali. Putting positive images online and letting willing travellers contribute towards restoring tourism really helps. And getting the community to co-share the campaign helps to bring everyone together behind the sole focus of bringing back the travellers. This should be practiced everywhere where tourism takes a hit. Which travel trends do you observe internationally that might support or hinder a better, more responsible tourism in nature and adventure tourism destinations such as Nepal? I think we have only just started moving in the right direction. More and more travellers are looking for experiential experiences and this is a very promising sign. New generations of travellers want experiences and not just attractions, which is really good, too. 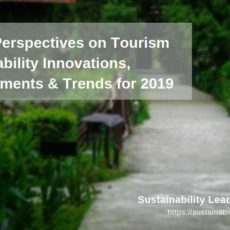 If the travel industry follows up on these trends and makes more and more responsible products that are environmentally & culturally sensitive, while ensuring contributions to the local economy, the travellers will follow. This will create a good win-win situation for responsible tourism. 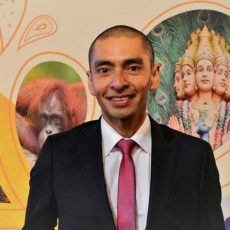 Finally, Raj, your advice to tour operators who want to engage with responsible/sustainable tourism business practices but don’t know where to start? FOCUS. Do not think about too many things at the same time. Focus on some principles, kickstart practice on these principles and try to go deeper and deeper into it. Get it internalised in your company, your products and the delivery of the products. That passion for focus will never fail you and will automatically create a reputation for the business that you can then ride on. Connect with Raj Gyawali on LinkedIn or learn more about socialtours here. Enjoyed our interview with Raj Gyawali on how socialtours approaches sustainability, the challenges and opportunities of tourism development in Nepal, and how the NepalNOW initiative helped the mountain destination to recover after the 2015 earthquake? Share and spread the word!